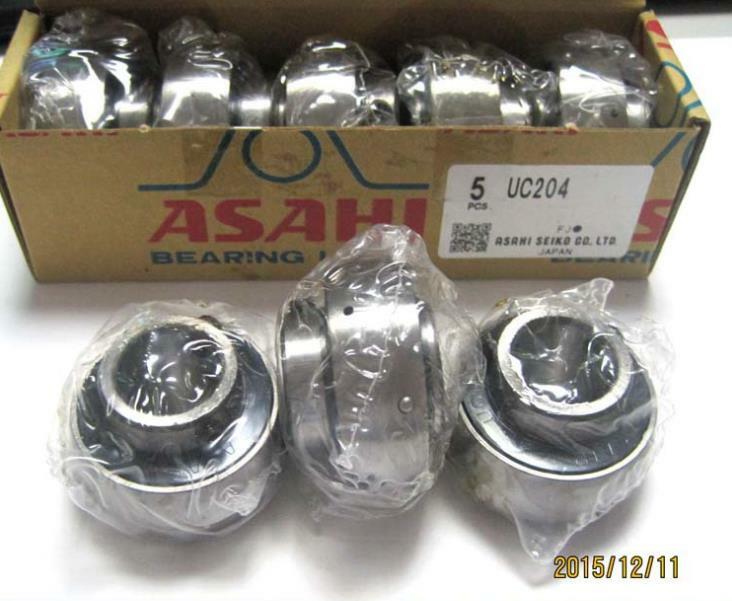 Asahi uc204 insert ball bearing(insert bearing with housing/Pillow Block Bearing) is the rolling bearing and bearing seat together a bearing unit. Most particularly the spherical bearing are made spherical outer diameter, and the imported bearing with spherical inner hole to install together, variety structure, good versatility and interchangeability. At the same time, this kind of bearing in design also has a certain adjustable mind, easy to install, has a dual structure of sealing device, can work under harsh environment. Bearing is usually is made of casting forming.Commonly used with vertical(P),(F),the square convex square stands(FS),circular convex(FC),diamond(FL),ring(C),slider(T),etc.